President Trump’s pick for CIA director has a dark history of leading state-sponsored torture – and the Senate must not even start her confirmation hearings until that history is declassified and publicly released. Gina Haspel is best known for running a “black site” torture prison in Thailand during the George W. Bush administration. The prison she ran was the first to test some of the CIA’s most brutal and criminal tactics – including waterboarding, beatings, starvation, and locking men for hours in coffin-like confinement boxes. Press reports place Haspel in charge of the prison when a man was waterboarded multiple times. These torture methods became a template for a program applied to scores of detainees held in a network of secret CIA prisons. Haspel played a key role not only in the torture program, but also in destroying the evidence. While her job title may be listed in a study about the torture program released by the Senate in 2014 and in documents released in the ACLU’s torture survivor clients’ litigation, her name and important aspects of her wrongdoing are still blacked out, with many documents locked away entirely. A memoir by a former CIA official also reports Haspel drafted the cable ordering the use of an industrial-strength shredder to destroy evidence of torture. The general counsel of the 9/11 Commission has stated that the destruction of the torture videos may have amounted to obstruction of justice. That Haspel was able to keep her job at the CIA and rise through its ranks shows a shocking level of impunity. It’s even more disturbing that she could be sworn in as the head of the entire agency – very soon. The Senate – and more importantly, the American people – should know the full extent of Haspel’s role in one of the darkest chapters in modern American history. Only then can senators understand the full scope of her torture record, and decide whether she deserves a promotion to CIA director. Now is the time to act: The Senate is preparing to confirm Haspel as CIA director. 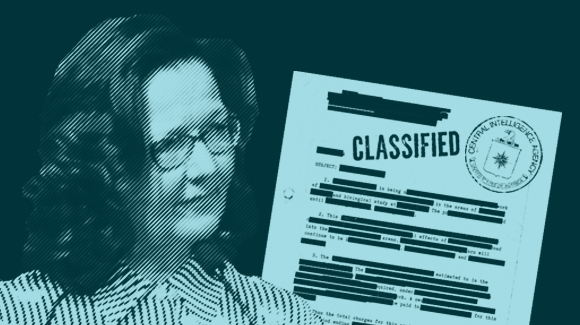 Sign this petition demanding that senators not even start the confirmation hearing until the CIA comes clean, and declassifies Haspel’s torture record. If I've entered a mobile number above, I allow the ACLU and its representatives to contact me via text messages and mobile phone calls about ways to take action and support the ACLU. Before any confirmation hearings take place, Senators must demand the CIA come clean on Gina Haspel's role in torture, and destroying evidence. Only then can senators understand the full scope of her torture record, and decide whether she deserves a promotion to CIA director.